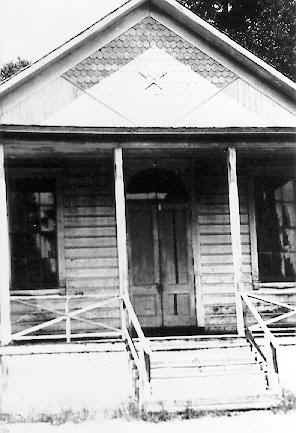 The Valencia Hall and Post Office are all that remain of the once thriving community of Valencia. Built circa 1884 by Frederick A. Hihn for his Valencia logging mill workers and their families. Valencia Hall originally served as a community meeting place for dances, Sunday school, the Lyceum and Literary Society. In the 1920s ownership transferred to the Valencia Farm Bureau when it served as a gathering place for many community events. In 1976, after decades of neglect, the buildings became the property of the County of Santa Cruz. 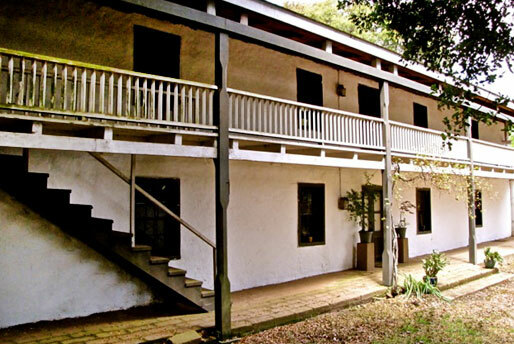 Today, it is on the National Register of Historic Places (#84001201) maintained and operated by the Santa Cruz County Parks Department as a party and wedding venue. The buildings on the property were originally located a few dozen feet from their current location, but were moved across Bear Creek Road and Valencia Road to their current location in the late 1980s. Santa Cruz county purchased the parcel of land where the structures are currently situated in 1986. Both structures are built to last, constructed out of old-growth redwood. Many of the double-hung windows are original; the glass has become wavy with age. The post office building has some original 1880s wallpaper along the ceiling, which is deteriorated and protected by plexiglass. The pot-belly stove in the building is said to be original as well. The kitchen and bathroom area in the Hall building are said to have been added in the 1920s. On weekends, there is an eight hour minimum time to book the facility, including preparation and take-down. During the week and in winter, hourly rentals may be available. There is an additional fee for a sound permit ($250-$300 for 5 hours of music) and another fee for an alcohol permit if you wish (another $250-$300, for four hours of alcohol service). The property is fully wheelchair accessible, and there is parking for approximately 45 vehicles. Reservations can be made up to a year in advance, and set-up and clean-up are the responsibility of the party. The day which many Aptos families have been eagerly awaiting will soon be upon us! The Santa Cruz County Parks Department has announced that the new Polo Grounds Park Restroom and Concession Building will be having a ribbon cutting opening ceremony on Wednesday, November 16th between 10:00 AM and 11:30 AM. All are welcome to attend! 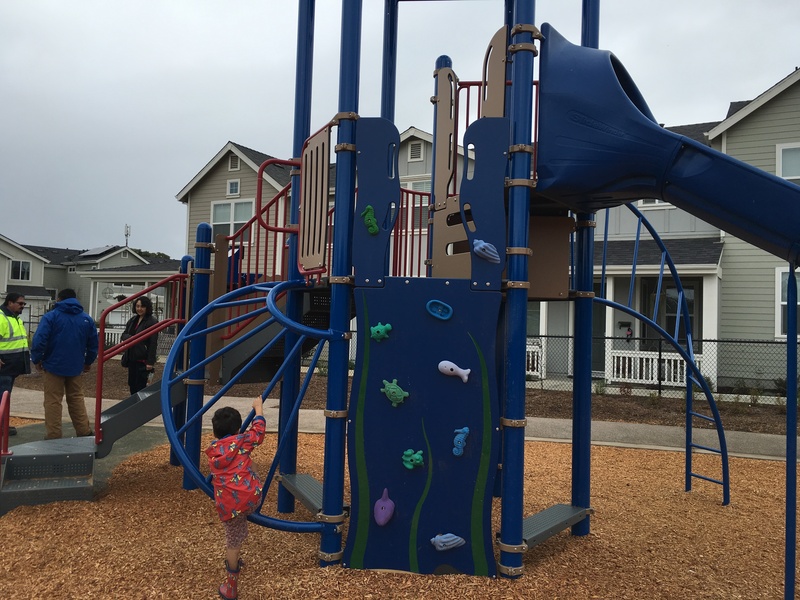 Seacliff Village Park is Now Open! After nearly twenty years of work by our community, the Seacliff Village Park is now open! Despite the damp conditions for the event, dozens of community members came out for the ribbon cutting. Food was provided by Manuel’s Restaurant and Severino’s, and many children got their first chance to break in the new play structures. Before the ribbon was cut, a number of people who had been instrumental in the park’s creation made a few remarks, including Kate Minott (the 2nd District Parks Commissioner and Friends of Santa Cruz County Parks) and Zach Friend, the our 2nd District County Supervisor. 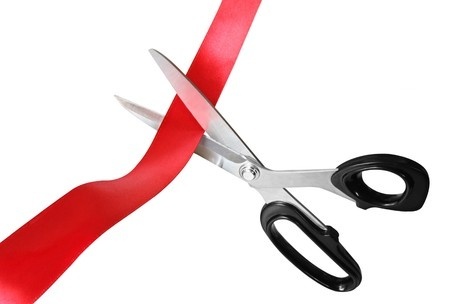 A complete video recording of the remarks and ribbon cutting is available here, along with a number of photographs. 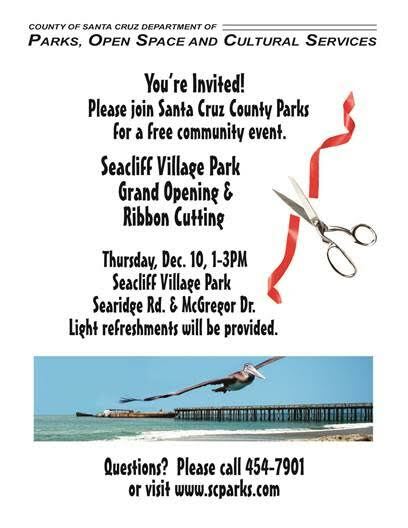 Seacliff Village Park Opens December 10! It’s been years in the making, and now, finally, Seacliff Village Park opens December 10! There will be a ribbon cutting ceremony for the newest Santa Cruz County Park on Thursday, December 10th from 1 to 3 PM. Located at the corner Sea Ridge Road and McGregor Drive, the new Seacliff Village Park is a 1.4-acre facility that will feature many wonderful elements. These include five play structures including swings, a climbing net, and a lighthouse themed play area. There will be a small plaza area, multiple walkways, a picnic area, drinking fountain, bike rack, and benches. Public art from local artist Kathleen Crocetti will also be incorporated in our new park. Ms. Crocetti’s work includes 38 stained concrete pylons with mosaic tops that feature local Seacliff imagery. It’s finally happening – Seacliff Village Park will soon become a reality! The public is invited to attend the Seacliff Village Park groundbreaking ceremony on Monday, August 3rd from 10 AM until 12 noon. The ceremony is to be held at the park site at the corner of McGregor Drive and Sea Ridge Road in Aptos. The first phase of the park’s construction will be performed by Earthworks Paving Contractors, who have 144 days to complete this first stage of the development. 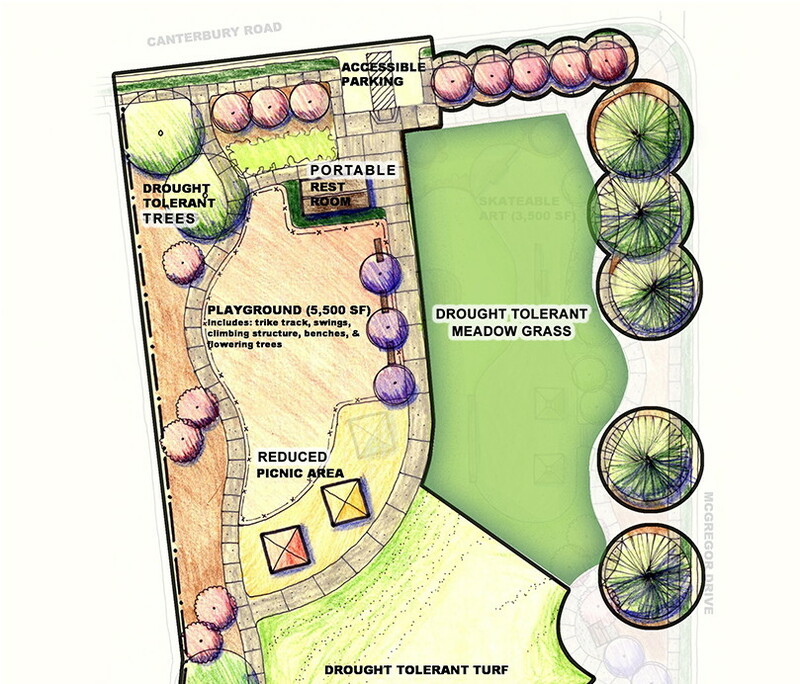 This work will include a lighthouse-themed play structure, a picnic area, a small plaza, drinking fountain, bike rack, benches, several walkways, and drought tolerant landscaping. Phase 1 will also include a public art component by artist Kathleen Crocetti, who will cast 38 stained concrete pylons topped with mosaics along the park pathways. The public is invited to join in the creation of the artwork by attending design meetings or participating in the onsite artwork construction. For more details please visit www.scparks.com. Please join County Supervisor Zach Friend, Parks staff, the Seacliff Improvement Association and Earthworks Paving Contractors, Inc. for this FREE event on August 3rd, 2015 at 10:00 A.M. All are invited to attend to hear speakers share, and reminisce about how Seacliff Village Park became a reality.